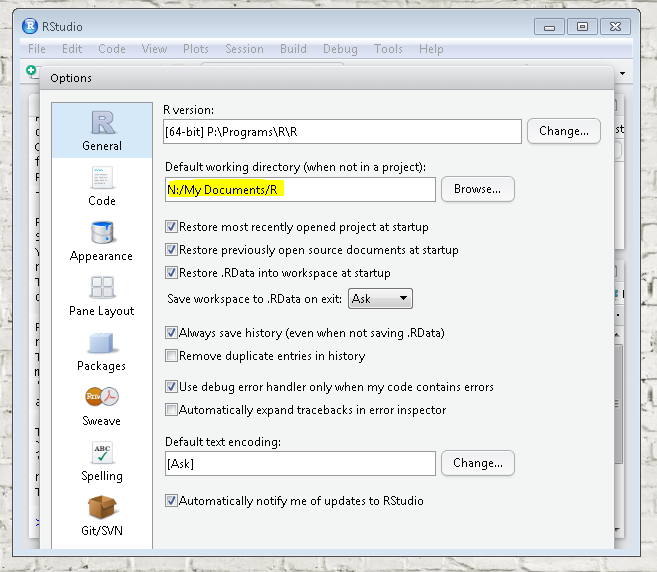 Two other changes you should make are to your Default Working Directory and Library Folder. 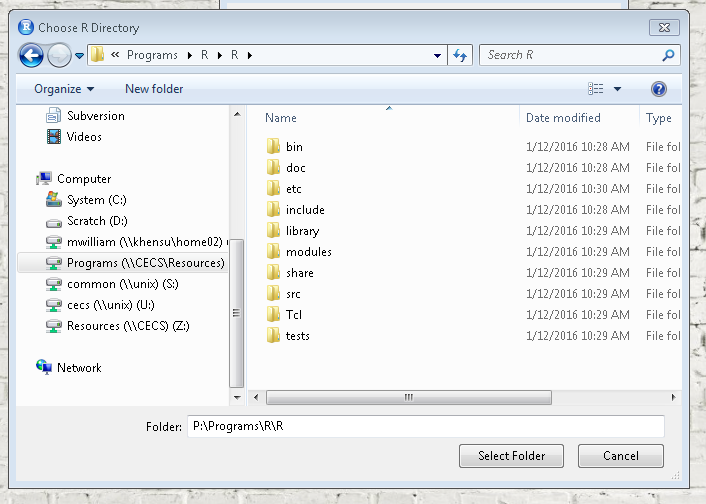 To set the variables permanently, open the start menu and search environment. 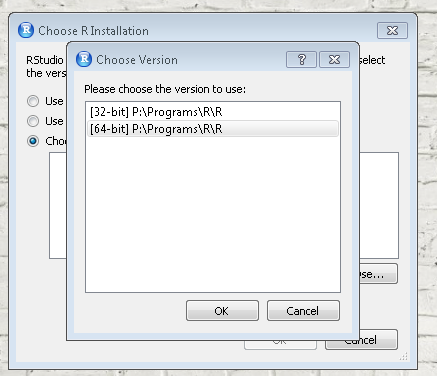 This will launch the Environment Variable editor. 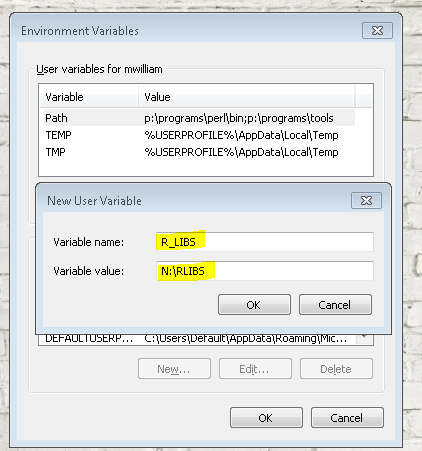 Then click on new, enter the Variable name and corresponding value like shown. UNC Pathnames of the form eg. 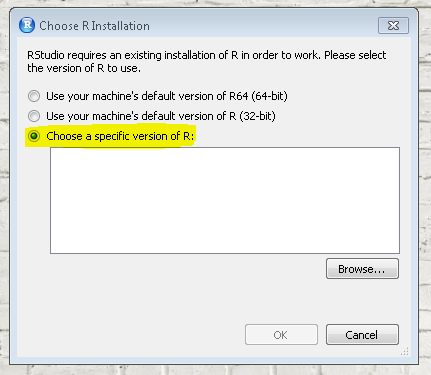 \\KHENSU\HOME\USERNAME or “DESKTOP” are not supported by R and RStudio and are known to cause problems. 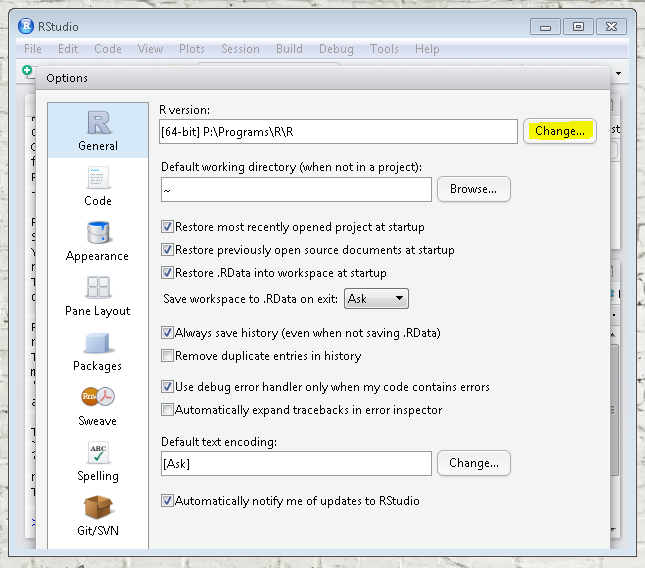 If your RStudio User Configurations becomes messy or corrupt and things stop working as expected, you can Reset them using our FIXIT scripts. Find on the Start Menu.